Senator Tim Kennedy (D-South Buffalo) at the announcement of Roswell's "Core Grant Announcement" earlier this week. It’s an interestingly diverse district, drawn after the 2010/11 redistricting process in which the Eastside of Buffalo, South Buffalo, Cheektowaga, Lackawanna, and parts of the Westside were bound together in the 63rd State Senate district. That year, in the neighboring senate district, Mark Grisanti had unseated Senator Antoine Thompson in a shocking upset victory that few saw coming. Grisanti, worried that Thompson would rematch him for the seat, pushed hard to have the African American community redrawn into the South Buffalo-based district that had been occupied for decades by former Senator Bill Stachowski. The 63rd State Senate district includes several diverse constituencies: the African American community on the East Side of Buffalo and parts of Cheektowaga; the Irish community in South Buffalo; the Polish community in Cheektowaga; the Latino community on the Lower Westside; Allentown and parts of the Elmwood Village. At the time, the State Senate’s Republican majority hung on Grisanti’s vote — so he had the leverage to ensure the redistricting process would play out as he wanted. 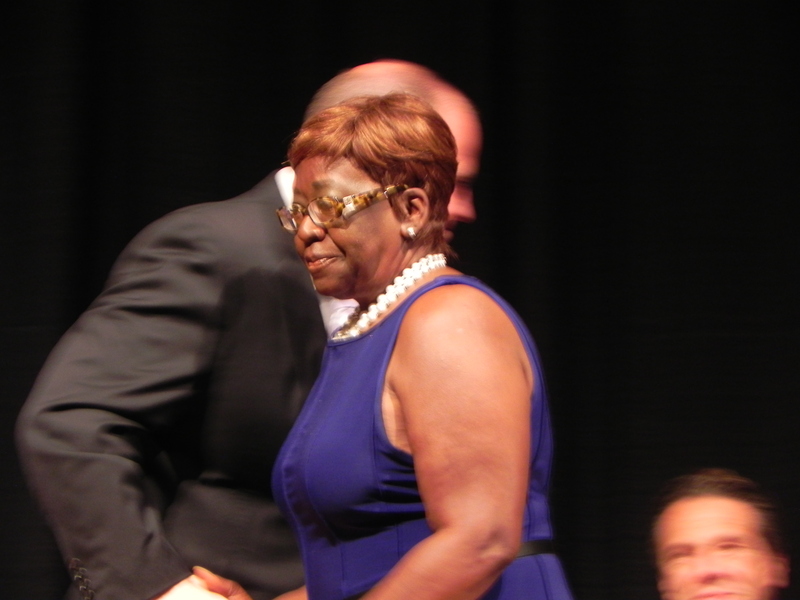 County Legislator Betty Jean Grant has an obvious identity politics advantage on the Eastside and in parts of Cheektowaga, where the African American community is large and has often been mobilized to vote in large numbers. Two years ago, Grant enjoyed the energy of a presidential election year. She slyly circulated mailers in the primary that suggested that voters would be voting for Barack Obama. Of course, Obama was uncontested in the primary, but she mobilized large numbers with the tactic and nearly unseated the incumbent, Senator Tim Kennedy. Kennedy backers insist that she was a one-shot pony that was able to ride a wave of energy that simply doesn’t exist in mid term elections — and in the absence of an African American president’s reelection inflating her turnout. Assemblywoman Crystal Peoples is close to Kennedy and may help him make inroads with eastside voters. Though she is facing a primary challenge of her own, with former Senator Thompson planning his return to elected office. The dynamic may push Kennedy and Peoples-Stokes closer together in what seems to be a Cuomo-backed political alliance. Thompson has been working very closely with Grant, which is rumored to irk Peoples-Stokes. Assemblywoman Crystal Peoples-Stokes is the statewide co-Chair of Andrew Cuomo’s gubernatorial reelection campaign. She is facing the toughest primary of her career. When asked if Sen. Klein would continue to be supporting Grant after last week’s announcement that the IDC would rejoin the Democratic Party caucus in the Senate, Klein’s spokesperson declined to comment. Senator Klein later appeared on Capital Press Room and seemed to suggest that the primary challenges would go on (presumably to gain leverage in a looming leadership fight between Klein and Andrea Stewart Cousins, the current Minority Leader to whom Kennedy is loyal and close). Assemblyman Michael Kearns (D-South Buffalo) ran on the Republican line and defeated the Democrat party’s endorsed candidate, despite the overwhelming Democratic enrollment and headquarters endorsement. He trounced Christopher Fahey, a top aid to longtime Congressman Brian Higgins. It is unclear whether Kearns will be playing a role in the Senate contest. Kennedy’s natural base is South Buffalo’s large Irish community. His challenge is to get the Irish vote out in large numbers. To do that, operatives say, he is going to have to approach the leader of the rival faction of Irish Democrats: Assemblyman Michael Kearns. 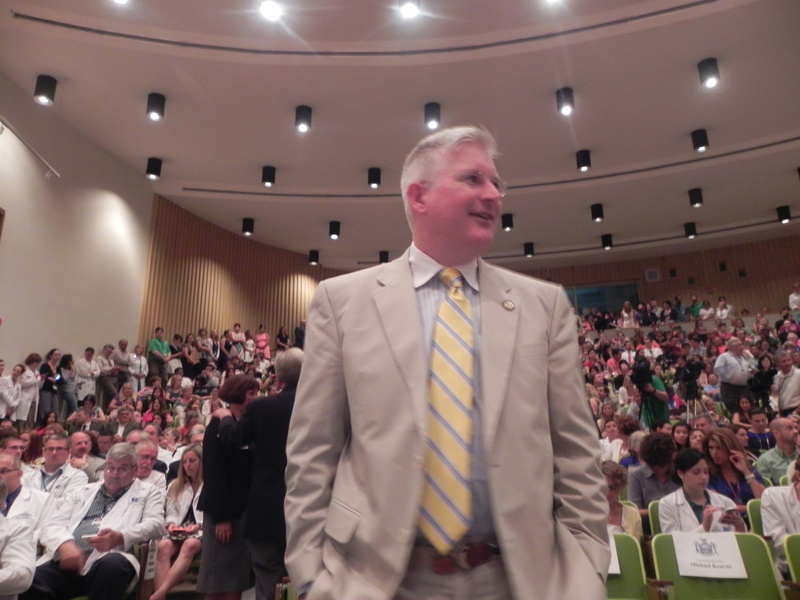 Kennedy has long been a foot soldier in Congressman Brian Higgins’ South Buffalo-based political machine, which has performed weakly in recent years. A top aid to Higgins, Christopher Fahey, had lost badly in a general election fight against what was dubbed Kearns’ “Irish Republican Army,” in a special election for the seat vacated by former Assemblyman Mark Schroeder. Higgins spent heavily in that contest and appeared personally in a television commercial that blanketed the airwaves. If approached appropriately, Kearns could deliver stratospheric turnout for Kennedy. Operatives say that such a deal would require Congressman Higgins’ unyielding political support in the future, and perhaps even a promise that Higgins’ backs Kearns in a future run for Mayor or County Executive. Kennedy is also expected to have strong support in the Elmwood Village, given his early support for marriage equality and his new urbanist positions on planning issues, like removing the Skyway and expanding mass transit. He may have an identity politics advantage in Cheektowaga as well; and a potential primary there for the Assembly seat vacated by Dennis Gaberzsyk may help bolster turnout. Both Camille Brandon, a longtime political operative working in the County Clerk’s office, and Mark Mazurek, a local businessman and the brother of Kristy Mazurek, a local political operative. Both are thought to be aligned with the political operative G. Steven Pigeon, so some observers are speculating that he has planned the primary to help Kennedy kick up turnout in Cheektowaga. Some have argued that Lackawanna, with it’s large Yemeni community, could emerge as a battleground. Grant did very poorly there two years ago, and it seems that Kennedy has made concerted efforts to lock up support there, so that is looking less and less likely. Will Grant be able to appeal to voters beyond her eastside constituency? This year, she will have to — as Kennedy is tending to his election districts far more thoroughly than two years ago. Who will primary Tim Kennedy?